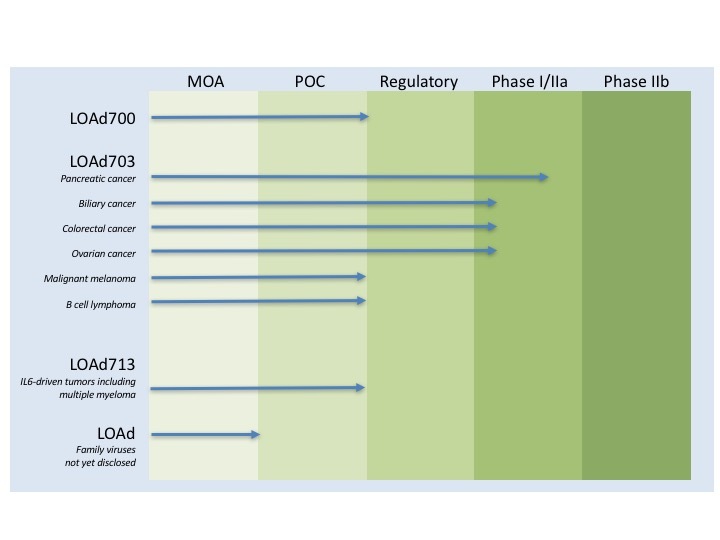 Lokon focuses on the development of LOAd703 across different indications and in combination with several different cancer therapeutics. Further, we have a range of novel viruses within the LOAd family that are currently evaluated for mechanisms-of- action (MOA) and proof-of-concept (POC). Our viruses encodes a selection of immunostimulatory and/or stroma modifying genes to promote anti-tumor activity at the tumor site and stimulate systemic immunity to target all tumor lesions.